In September of 1960, school had just started for the Kilgore College freshman Betty (Klutts) Barton. She had spent two weeks trying out for the nationally recognized Kilgore Rangerettes drill team and was thrilled to pass the auditions. From a young age, she had dreamt of high-kicking in the red, white and blue uniform and cowgirl hat. The Kilgore Rangerettes started in 1940 and are known as “the first precision dance team in the world.” The Rangerettes continue to perform to the present day. In the early 1960s, the length of their uniform skirts – shortened to above the knee since the program’s inception in 1940 – was a subject of some local controversy. 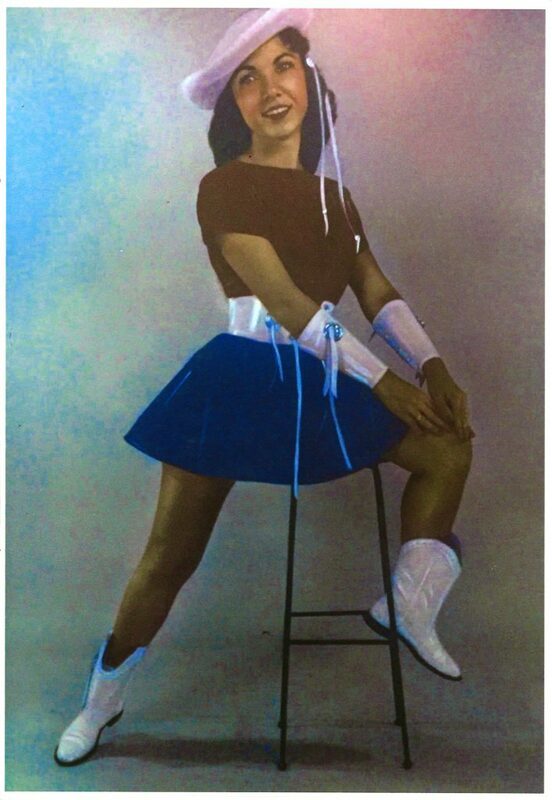 Just weeks after earning her uniform, Mrs. Barton and the Rangerettes were called upon to travel to Dallas and march in two parades in two days. The parades celebrated presidential candidates Richard Nixon and John Kennedy, who both made campaign stops in the Dallas-Fort Worth area on September 12 and September 13, 1960. 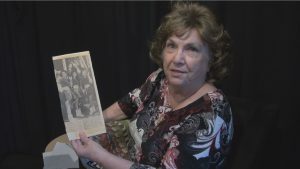 Betty Barton shares a newspaper clipping about the Dallas parades during her oral history interview. 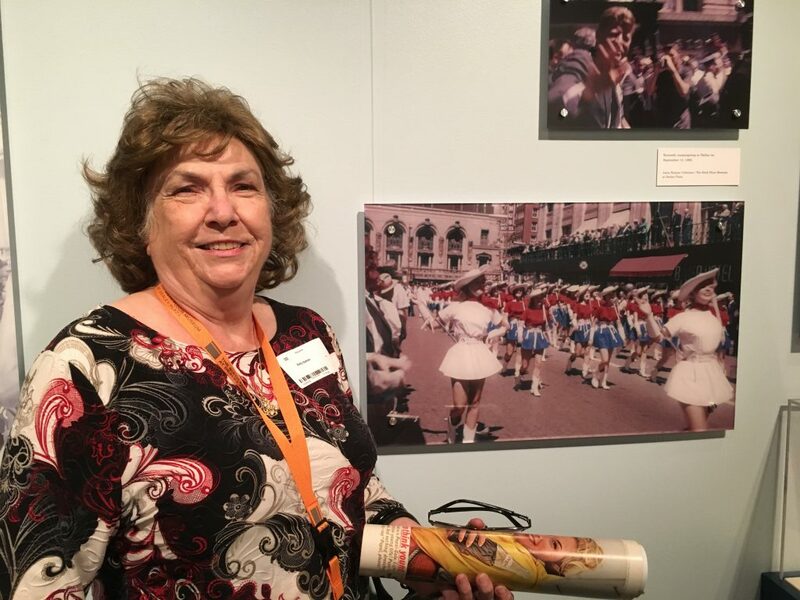 In an oral history interview recorded with Mrs. Barton on October 5, 2016, she revealed that the parade on September 12th for Richard Nixon was her first parade performance as a Kilgore Rangerette. The Rangerettes performed a hand-jive routine as they marched through downtown Dallas. The Nixon parade ended at the doors to Dallas Memorial Auditorium; the poised Rangerettes split into two lines and waited to shake hands with Vice-President Nixon and his wife Pat. Mrs. Barton believes the spirit of the Rangerettes and the festive parade must have touched Mrs. Nixon, because she handed each girl she passed a red rose from the bouquet she had been carrying. Mrs. Barton was on the side with the vice-president and was thrilled to shake his hand, but recalls her disappointment at not receiving a red rose like the other girls. That evening, the Rangerettes spent the night at the White Plaza Hotel in Dallas and awoke the next morning for a repeat performance, but this time for Senator Kennedy. Mrs. Barton did not get to meet the senator, however she clearly recalls the Rangerette routine flowing smoothly and the crowds enjoying the revelry. Betty Barton in front of a photograph showing the Kilgore Rangerettes marching in the campaign parade for Sen. Kennedy on September 13, 1960. The photograph is from the Anita Hansen Collection and on display in the “A Time for Greatness” exhibition. You can learn more about Kennedy and Nixon’s 1960 election campaign and even see a photo of the Rangerettes marching in the parade in our special election year exhibit, A Time For Greatness. But don’t wait too long, the exhibit closes next Sunday, November 13!